I would like to take a moment to address the exceptional repair you recently completed on my toy hauler. Upon arriving to your shop my exterior wall was in horrific condition after a storm had pulled it back and away from the frame work. At one point I was concerned it may not be repairable. Thanks to the professional team All Stars RV employs the restoration you completed was beyond my expectations. As an OHV journalist for Sand Sports Magazine and a Colorado State Parks Subcommittee member my job is to assess vehicles and services in several states. The condition of my rolling office after you finished rates as some of the highest quality workmanship I have encountered in my 20 years of business on the road. I would encourage anyone who requires repairs or upgrades on their motorhome or RV to bypass the competition and head directly to your facility and request a quote. I’m confident they will receive the same professional attention I received in a timely manner. Your friendly staff made my entire experience seamless and the price I was quoted was more than fair for the work completed. Rest assured I will be returning to your company for any additional service I require and I will continue to encourage my fellow state representatives to use your company for their own personal and professional needs. 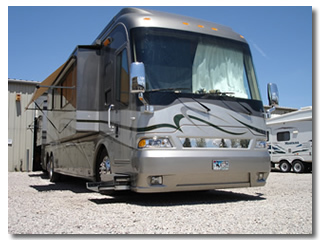 All Stars RV understands your need to trust the people who maintain your motorhome, fifth-wheel or camping trailer. Our commitment to providing owners with the best possible service and repair is unparalleled. The dedicated team at All Stars RV strives to treat each customer with courtesy and integrity from the initial point of contact until you drive away. 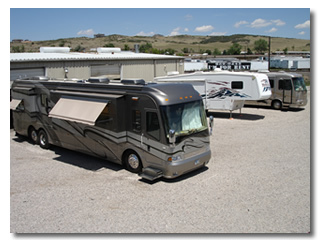 Our trained technicians have years of experience serving your RV needs. All our work is performed in a prompt, professional manner and is guaranteed.